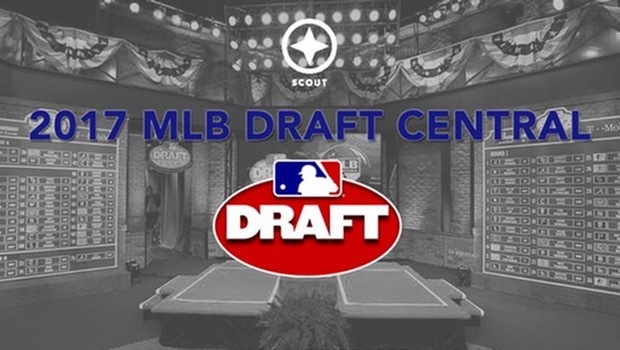 Subscribe to comments with RSS or TrackBack to '2017 Draft coverage; Mock Draft mania plus my projected top-5 and Nats picks'. But yes, the trend is overwhelmingly toward a college arm for the Nats. FWIW, I haven’t seen many mocks with Tristan Beck even in the first round. I guess it’s much harder to try to calculate the risk of a back injury, a whole different thing than arm surgery. I could see the Nats jumping on him in the second round if he’s still there. If it’s in the first round, I would suspect that the Nats have worked out a real under-slot deal. More thoughts when I have a chance. Beck is an interesting one indeed. Would you rather risk a back injury or an arm injury? There’s been so many 1st round TJ guys lately that i’m working on a draft post discussing them and their success rates. I have Sickel’s mock in this post, and will keep updating it with more mocks as they come in (MLB’s just released a new one tthis AM). He has us on TJ guy schmidt. Which I wouldn’t disagree with … except I think the nats would actually take any of the next three guys in his mock OVER Schmidt. Schmidt at 6-1 doesn’t have the size profile the Nats usually look for in RHP. What Schmidt did do was lead all the other SEC starter studs in ERA and Avg against before he was hurt. I’m just editing the post and adding them as well, probably will stop putting them here. The Nats could use another polished starter, and the strength of this draft is said to be in college arms (which the Nats love to draft). Fedde is the only likely MLB starter prospect they have in the upper three levels of the minors. However, it isn’t a huge and pressing need, as they’ve got a lot of good young arms in the lower minors. I just can’t get away from the fact that what the Nats really need is power. MLB is a power game, increasingly so. If guys don’t re-sign, the Nats will lose Werth and Wieters after this season, Harper and Murphy after 2017, and Rendon after 2018. The best power prospect in the organization is probably Soto, who is the age of a high-school draftee, and probably as far away from the majors as one. So what should the Nats do? Should they ignore the power issue once again and take another pitcher because he’s the “best player available”? Do they take bad-bodied Burger if he drops? Do they reach for over-aged Rooker? I don’t know. If Hiura drops, it makes it easier since he’s “value” at #25. He’s assuring everyone that his arm is fine, though, which may get him into the top 15. We’ll see. Anyway, the power thing is what would keep me up for the next few nights if I was Rizzo. The mantra of the MLB draft is always “best player available” at the top, irrespective of what you think your “needs” are at the MLB level. You have a 3B signed to a 10 year deal? You should still draft a 3B if that’s the best player on your board when your name gets called. And that’s because so much can happen between one day and another. First day of 2016 the Mets probably thougth they had starting pitching sewn up for quite a while; now where are they? I think the names available to them in the #25 spot are going to give them a choice: do they roll the dice with a head case like Romero, a top-10 talent with a 20-grade makeup apparently? Do they go with one of the upper 90s, likely straight to the bullpen types available like Little or the all-american juco guy whose name is escaping me? Rooker won the SEC triple crown, led 1st rounder Evan White in SLG by 200 points (White was 2d), led everyone else in total bases by 42, and was second to 1st rounder (and SEC K leader) Jeren Kendall in SBs. At what point does being a year older become less of a concern? Pitching stats are pp. 9-11. It’s interesting to compare the 5-6 guys who may be 1st rounders head to head. Schmidt did have fewer appearances, but he led the league in ERA and all the other 2017 big names in AVG against. But I’m sure the Nats wish he was taller . . .
Its tough to just assume that, even the triple crown winner of the best baseball conference in the land will succeed in the majors. If you look at the collegiate players of the year at BA or Golden Spikes … there’s names on there that never even made it to the majors. Like a few of them. If Rooker was awesome in the Cape or playing wood bat, then that mitigates concerns about how he just crushed everyone with metal. That issue seems to come up a lot. Like I said before; I’m just assuming they’re taking an arm. So i don’t even really focus on college bats for that 1st round pick. The Nats’ first pick in 2016 was a hitter, two of the first three, and six of the first eight picks (five of whom were college hitters). In 2015, the Nats’ first three picks were hitters (two college). They’ve piled on with pitching afterward, but they seem to have realized that they were better at prospecting for arms after the top picks than they were bats. Also, they’ve been willing to take guys ahead of where they were projected if they’re guys they want. Neuse and Stevenson are examples. So don’t sleep on Rooker, or even someone like Stuart Fairchild, who they drafted out of HS (although he might fall to them in the 2d). I’m not jumping up and down and saying that they will take a college hitter in the 1st, particularly in a draft deep in college arms. I’m just saying that a lot of the mocks and whatnot seem to be ignoring what they’ve done over the last couple of years with the current staff who’ve been making the picks. Another trend to watch: in 2016, the Nats took three Andrew Miller-like multi-inning super-relievers to turn into starters: Dunning, Bogucki, and Hayden Howard. In 2015, they turned Andrew Lee into a starter (until his dreaded 2d TJ) and talked about doing the same with Glover. A hitter to watch in rounds 3-5: Chad Spanberger out of Arkansas, who had five HRs in the SEC tourney. He has some “contact issues” (65 Ks) and may be 1B-limited, which could keep him out of the top rounds, but he’s got serious power (20 HRs). So does Evan Skoug, the catcher out of TCU, who is probably more a 2d-3d round guy (despite a scary 84 Ks this year). Then there’s Jake Adams, a JUCO out-of-nowhere at Iowa who led the nation with 29 HRs. He praises college hitters but laments that so many this year are limited to 1B. This morning I’ve also seen three new mocks that all have the Nats tied to idiot Seth Romero, all repeating the flawed logic that the Nats don’t have an issue with “problem” players. If there’s a recent history of them taking “problem” guys, I’m utterly unaware of it. They’ve had a couple of Latin kids busted for PEDs, and Souza had a bust for uppers and more or less “quit” at one point (then got his act together and became a model citizen), but those are the only things that come to mind. Am I missing something? The equating of the Nats taking guys with injury histories to them being willing to take a knucklehead is a false equivalence of the worst kind. Besides, the Nats already have a lefty named Romero who throws even harder! I’ll add that I wouldn’t put it past the Boras organization to be planting the word with some of these writers that the Nats are interested in Romero, who is a Boras client. Oh boy, Solis and Blanton are coming back. I can hardly contain my enthusiasm. So who do they replace this after this latest debacle, and does it even matter? This bullpen is complete dog doo–front to back, top to bottom. Glover admitted after the game that he had tweaked his back. He’s been excellent when healthy. Albers and Romero have been terrific and will probably get some save chances if Glover is unavailable. Even Ollie has been contributing, which surprises me. Treinen has either entered the witness protection program or the inner sanctum of Dusty’s Doghouse. Kelley hasn’t seemed right to me all season. The lead is 10.5. Worry if you wish, but I’m not particularly concerned right now. They’ve got about seven weeks before the trade deadline to try to figure out what they need and what they can get. Getting back to Seth Romero, it occurs to me that he will probably go to a team that has multiple picks in the top 40 or so. Those teams can afford to gamble with with one of those picks. The Nats can’t; they have only one pick in the top 64. That means they only have a chance to pick one player who has a consensus major-league grade on him. They can’t risk it on a knucklehead. Among the guys who the Nats might actually might pick, Canning from UCLA reportedly has something questionable on his MRI that might drop him somewhat. Now that sounds like the type of “issue” with a player the Nats might overlook. Like Schmidt, though, Canning is only 6-1, and the Nats tend to like their RHP taller, more like Houck (6-5) or Lange (6-4). But if Canning moves down, one or both of those guys may move up before #25. Unseen in all of this, of course, is what the Nats are being told these guys are seeking. Maybe they’re being told that Lange is expecting $2.5M (the Nats’ slot value). Maybe Houck, since he has been projected to go a little lower, has his rep saying $2M. Maybe Schmidt’s guy is saying $1.5M since he’s injured and may not even get into the first round. With only $5.5M total for the Nats, the ability to save several hundred thousand on that slot could be significant. At the same time, as I said, this pick is their only shot to get someone that the consensus thinks is a major-leaguer. So they need to get who they want. The Nats’ very small pool total (4th least in the draft) also leads me to believe that they can’t/won’t get in the bidding for a high schooler with the first pick unless they know or certain the kid will sign for slot. Adell and Baz may drop because of signability issues, but the Nats just can’t afford to go $3M+ on either of them. Thompson also has a fairly strong Bama commit that will have to be bought out. With Carlson, I just can’t see breaking the bank for a HS arm when so many more proven college ones will be available. We’ll see . . . and soon! It’s a hard-to-project draft for everyone, even with the top picks. Law’s latest has Nats taking Romero, fwiw. http://www.espn.com/blog/keith-law/insider/post?id=7178 . I did hear a good take on the Romero situation. If a team exec sits down with him, and has a frank conversation about all the BS he’s done at Houston and is convinced that he’s learned his lesson, that it was a misunderstanding, that perhaps the HOuston coach was being a d*ck about something or another (always possible; my interactions with collegiate coaches have mostly found them to be rather egotistical), then suddenly the nats are getting a top10 arm, a lefty in the mid 90s at pick #25 at a good discount. He can’t go back to school; he’s pretty much stuck taking whatever deal he’s offered. In other words, the Nats might even go under slot and get some dollars for later picks. I looked up stuff on Romero, and he’s been a mult-level disaster: failed drug test, fight with teammate, getting 40 pounds overweight, and of course the infamous bong photo in uniform . . . in his draft year. Once is an accident, two’s a trend, so what are four, five, and six? As for under slot, he’s a Boras client. There’s no such thing as an under-slot Boras player. I still think Boras is planting the first-round mentions. Otherwise, Romero wouldn’t be getting mentioned at all. I will be very disappointed in the Nats if they take this idiot. Ok that’s a lot on Romero. Don’t forget the need to negotiate a slot or below slot contract for players in the top rounds, in order to have maximum flexibility for players lower down. I agree with KW that Romero rumors are likely Boras plants. There is enough of a talent pool to offer a quicker to the majors college arm at 25. Given the frustration for what the bullpen is doing now, the team can accomplish both ends in both rounds 1&2. That also means a lower risk pick. Did the Giolito or Fedde picks work out? That’s arguable. One thing is for sure, they did not translate into the kind of return the Nats need in depth. Dunning, ironically (or not), was part of the same return as Giolito. What a concept — a low mileage healthy higher upside arm who can actually pitch the year you draft him. It’s somewhat of a drop from this group to the next set of college bats, tough — guys like Rooker and Fairchild (who the Nats drafted out of HS) — so there will also be the college pitchers on the board. My guess is that they would prefer a big school guy. I’m assuming Peterson will be gone before #25, but it would be great if the Nats could get a big lefty. Romero is off my board. The guys who fit the Nat profile of big righties are Lange and Houck. If Canning drops because of suspect arm MRI, the next pick on a lot of board is going to be Lange. The Nats don’t scare on arm issues, so they’d consider Canning or Schmidt, but both are 6-1 and don’t really fit the Nat size profile. So, by process of elimination, I say the Nats end up with Tanner Houck, a 6-5 RHP who can touch 98. If Houck is gone, too, it gets interesting. Do they turn to Schmidt (or Canning if he’s still there), or do they look at JUCOs Pearson and Little? Or do they look at the next level of bats? I assume they’ve been following Fairchild closely since they drafted him in 2014. I’m holding out faint hope that they’ll get Hiura (who is telling everyone that his arm is OK), but I’ll be satisfied if they end up with Houck or Lange. Any high schoolers? I really don’t think they can pay them with their limited pool money. If Carlson is still there and is willing to take slot, they may think about him, but they’d really have to love him to leave so many good college/JUCO arms on the board. Of the hitters, if Adell falls that far, it’s because a lot of teams with a lot more pool money than the Nats have passed on him. Bubba Thompson might be more signable, but a ton of mocks have him going to the Dodgers at #23. I’d be more interested in him for the Nats than I would Carlson, but if they have to go to $3M to sign any of them, they would have used over half of their pool money on a single player. 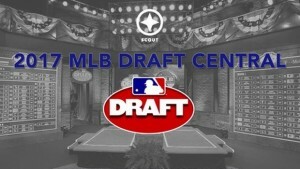 Just newposted draft day coverage. Would love Houck and have seen him in more “sane” mock drafts.